We’ve made our iconic Rainbow Flower (found in the center of Alison’s Art Theory fabric design) into a fun iron-on patch! These are great for adding a bit of flair to all sorts of things: bags, quilt labels, jackets, jeans and more. 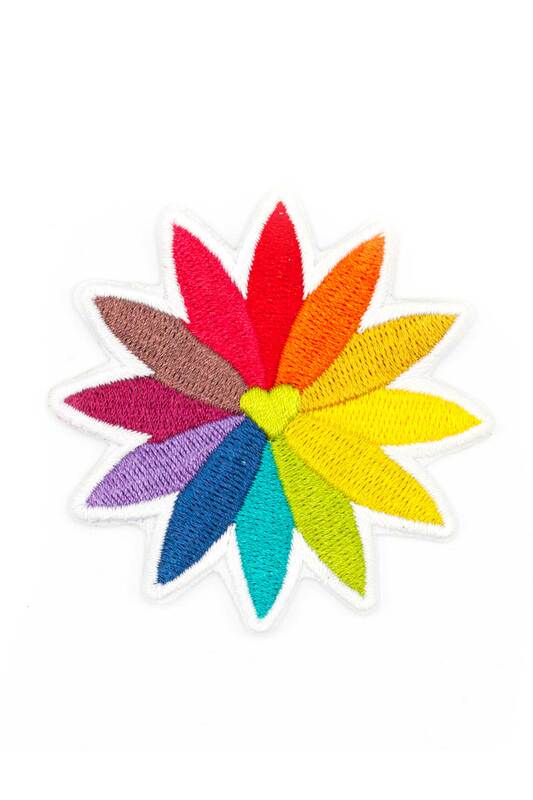 Each patch is approximately 2 1/2’’ in diameter with a tiny neon green heart in the center. The colors are so vibrant, enjoy!